KCTU president Han Sang-gyun has been imprisoned since July 2016 for his role in the people's rally on 14 November 2015, and with KCTU general secretary Lee Young-joo is facing charges for the protest. Take action now to demand that Han Sang-gyun is immediately released and all charges are dropped for both union leaders. All they did was exercise their democratic right to freedom of association and peaceful assembly when they protested against former president Park Guen-hye's government's repressive labour law reform to further casualise labour. The UN Working Group on Arbitrary Detention has noted that Han Sang-gyun's deprivation of liberty is arbitrary and has called for his immediate release and compensation. It has further requested the government of Korea, led by president Moon Jae-in, to avoid the abuse of criminal proceedings in the context of peaceful protests. The ILO committee on freedom of association has asked the South Korean government to take any measures in its power for the release of Han Sang-gyun, as well as all other trade unionists for organisation of and participation in the demonstration on 14 November 2015. Click here to send a protest letter President Moon. 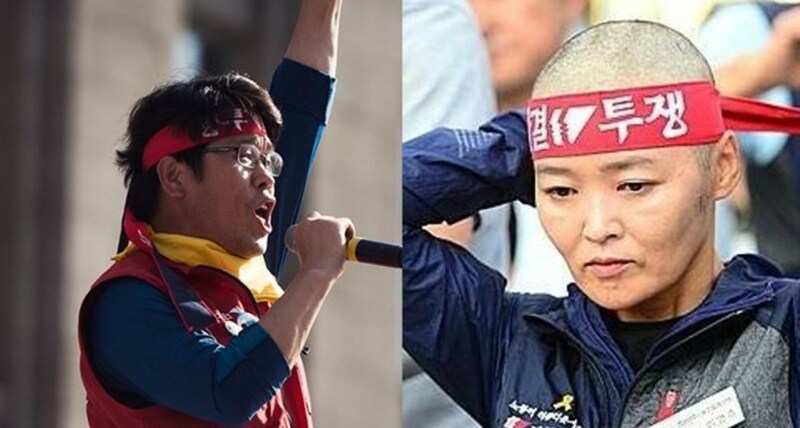 Join the action day to free Han Sang-gyun and Lee Young-joo on 9 February, 2018 - the day of the opening of the Winter Olympics in Pyeongchang in South Korea: contact other unions, including affiliates of the ITUC and Public Services International, stage a protest and hand in the letter to your local Korean embassy on 9 February. Join our network and receive email updates about various ITF campaigns and opportunities to get involved.